My editor on Thor: TMA, Nate Cosby, posted the cover to #6 on Twitter today, so I thought I would share it here as well. Matt Wilson is just killing it on colors! Kirby would be proud. This one's got some seriously epic cosmic grandeur going for it. You're absolutely killing on this series, Chris! You've got to be kidding me? How can these covers keep getting better with each one? 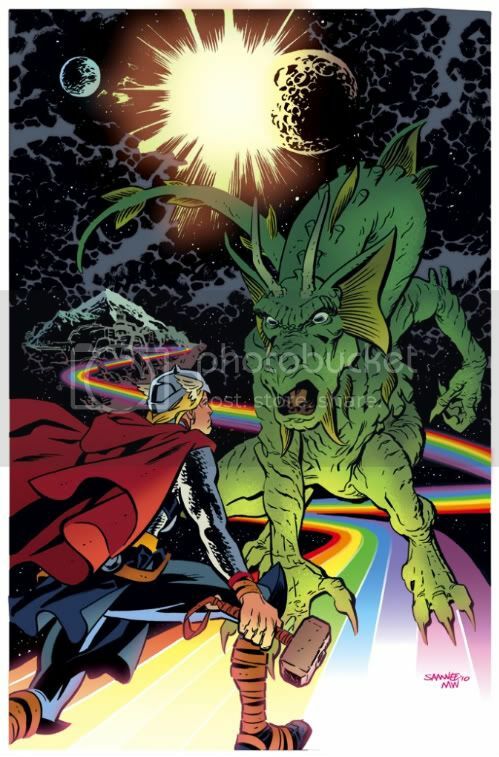 That is one of the best Thor covers I have ever seen. Your artwork is fantastic and Wilson's color work is stunning. Great job! just crackles with kirby power - gorgeous! 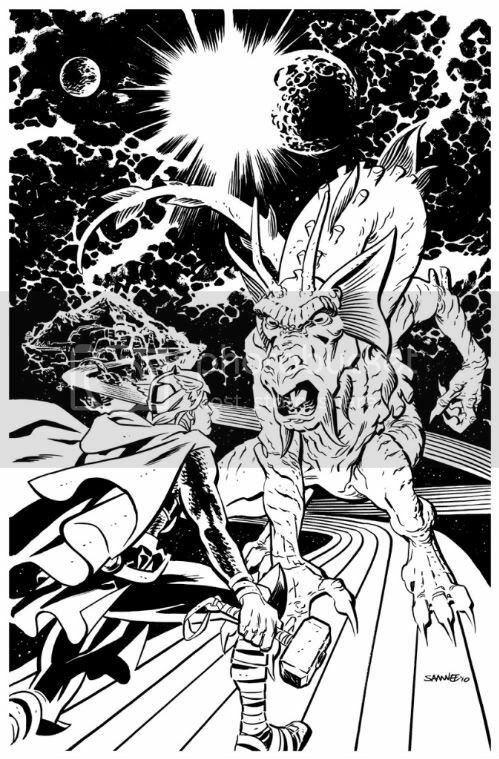 but surely that can't be FIN FANG FOOM - no purple pants! I was unfamiliar with your work until this Thor series. I love your stuff and will follow you from now on. Thanks! Awesome! Great work on the new Thor!